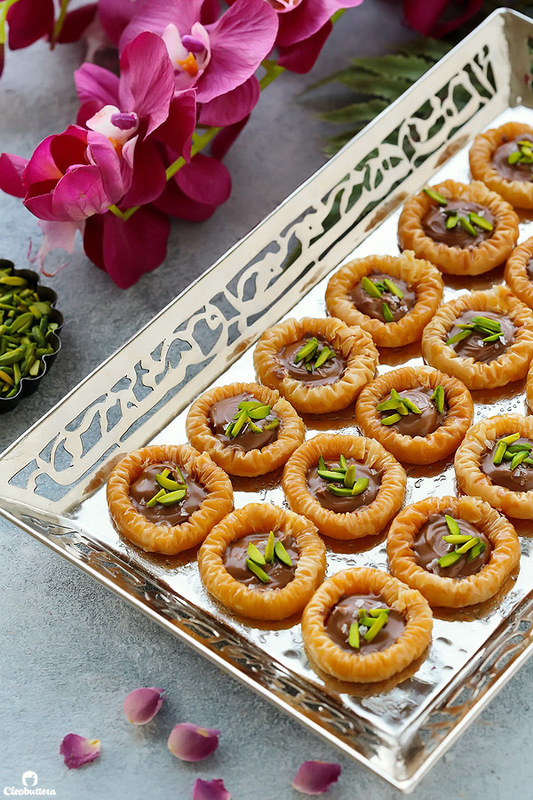 Delicately crisp phyllo rings with a creamy chocolate center, a sprinkling of sea salt and crunchy pistachios! Plus…recipe VIDEO included! This post is sponsored by Cadbury Dairy Milk Egypt, but all opinions are my own. Thank you for supporting the brands that believe in me. Who can deny the greatness of classics? Their rich history, humble familiarity and sweet nostalgia give them an exceptional status in the food world. In the past week, I’ve abided to tradition and covered popular classics like Pistachio Baklava, Ricotta Kunafa and crazy good Basbousa, in the most authentic way possible. So I think it’s about time we play! Today, we’re taking a classic and giving it the chocolate treatment. Because then again…who can deny the greatness of chocolate? 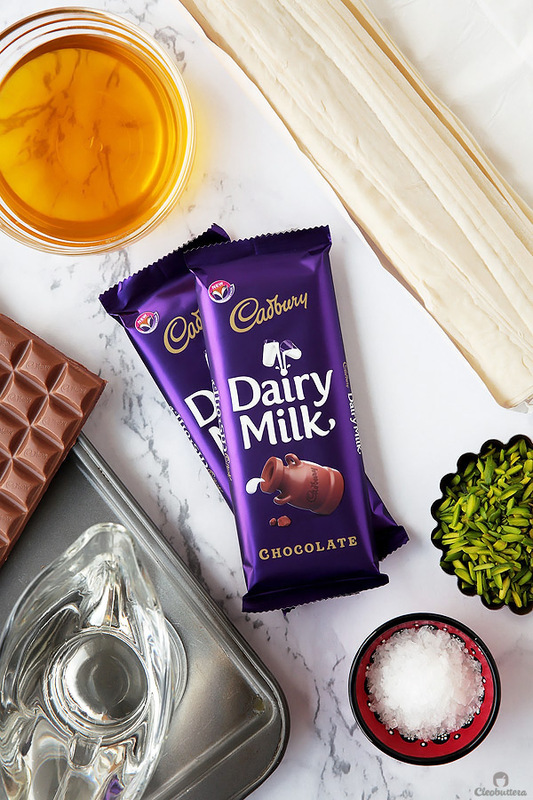 Cadbury Dairy Milk Egypt and I have teamed up together to bring you a delicious chocolate lovers’ take on a beloved classic. Chocolate Baklava Bracelets; better known as Asawer El Sit. 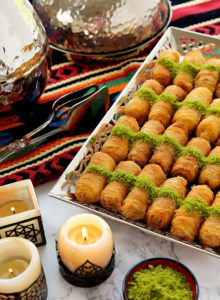 Asawer El Sit, meaning Lady’s Bracelets in Arabic, is a charming little baklava variation popular in the Middle East and Eastern Europe. Like so many foods we share in this region, they come in different names like Bulbul Yuvasi, Turkish for Nightingale’s Nest, and Lady’s Naval in other countries. Clearly, the names have been derived from their round shape that’s created by wrapping shirred rolls of phyllo into rings. 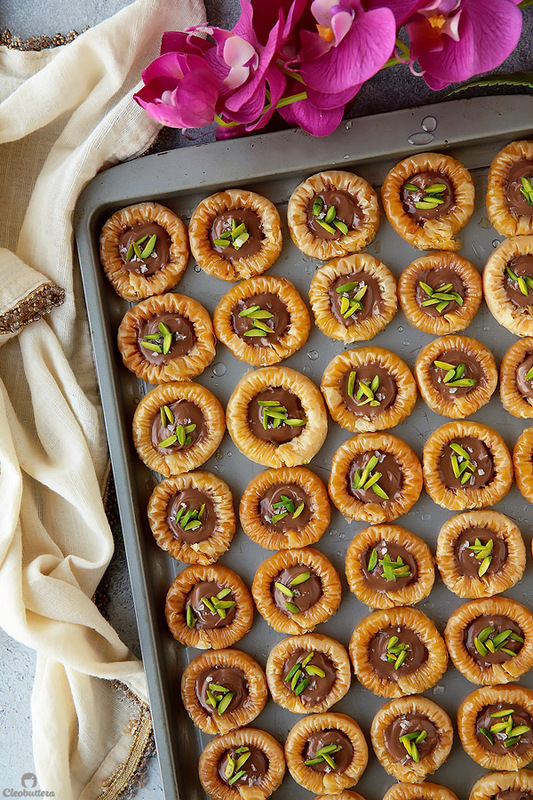 The hallowed centers are then filled with nuts, typically pistachios, after they’ve been baked. 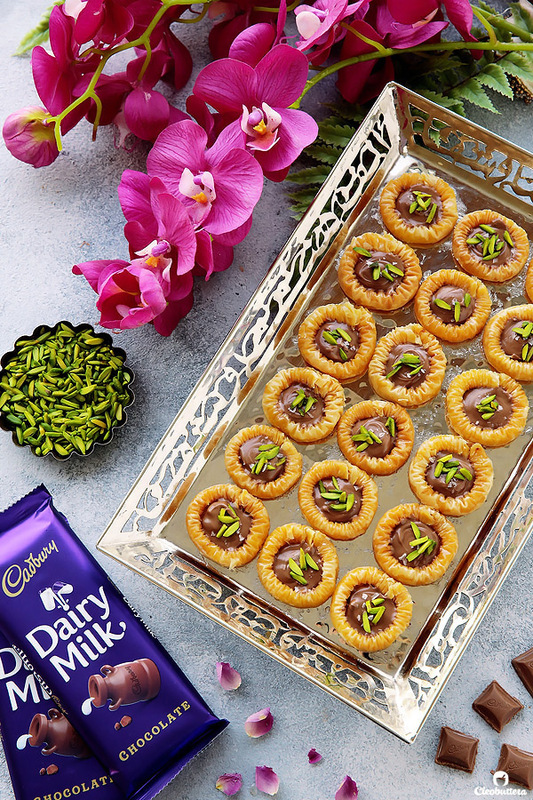 We ain’t getting rid of the pistachio here, because we love ’em, but we’re giving them an upgrade by sitting them atop a creamy bed of Cadbury Dairy Milk chocolate that’s been sprinkled with sea salt. So you get crunchy, you get creamy, you get sweet, you get salty, and stomach gets happy. 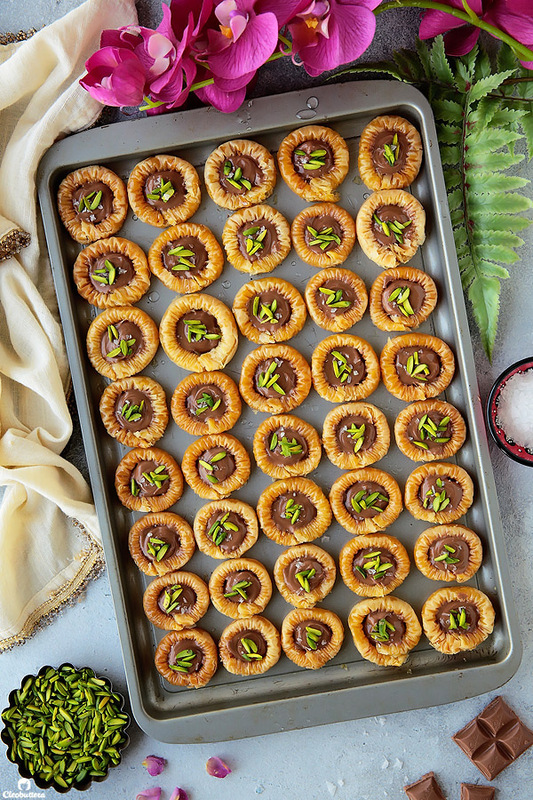 As much as I love chocolate, I’m usually hesitatant about adding it to Middle Eastern desserts, because if we’re being honest here, they don’t always go well together. The pastry is almost always pretty sweet to begin with, thanks to the indispensable shower of sugar syrup, add to that the sweetness of chocolate, and chances of ending up with a sugar bomb is quite high. But I couldn’t be happier with how this one turned out. The sugar syrup here is kept to a minimum to make way for the added sweetness of chocolate. The light sprinkle of sea salt, together with the savoriness of pistachios, balance everything out in what can be best described as true bliss. 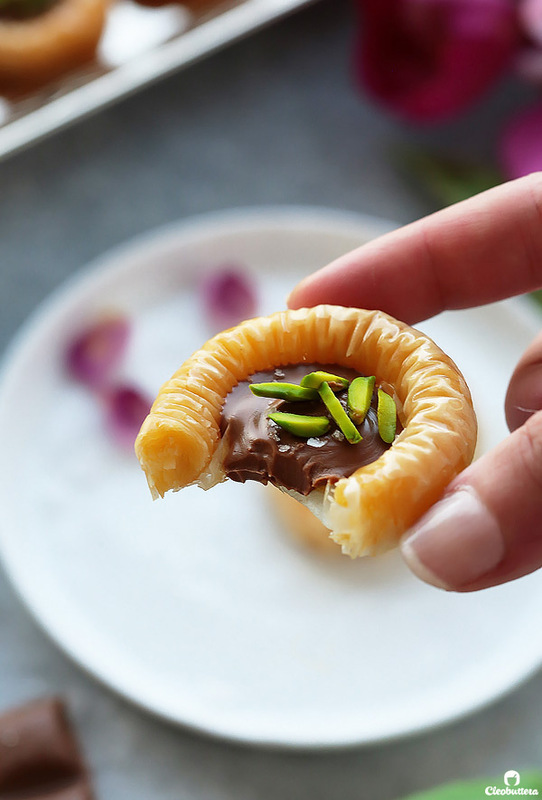 I’m a sucker for textural contrast, so the crunch of the phyllo and pistachios against the creaminess of the chocolate, make this a winner in my book. I love a great recipe with a number of ingredients I could count on one hand, and this one is exactly that. Sea Salt Flakes…Oh wait…that’s 6! Ok…so let’s just make that one optional instead of coming with another clever analogy 😜 Kidding aside, it really is optional though. These bracelets are so fun to make as they are to eat. Check it out! At first they may seem a bit tricky, but once you get the hang of it, you’ll be rolling like its your job. First things first; ALWAYS keep the phyllo you’re not working with covered under a layer of plastic wrap topped with a damp towel to prevent them from drying out. That’s super important, as dried sheets will crack as you roll them. 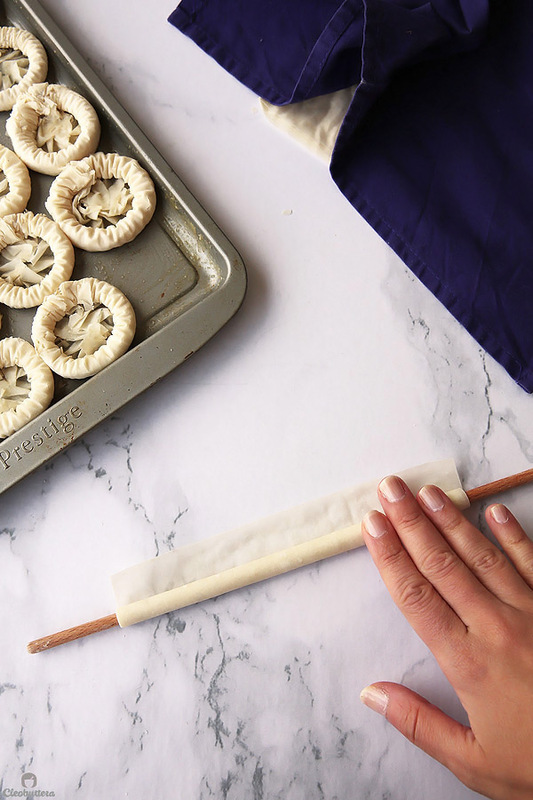 Then begin by placing a long rod or stick like a dowel, pencil or straw at the edge of a small square of phyllo, then so very loosely roll the square of phyllo around the rod. If you wrap it too tightly, you’ll have a hard time getting it out of the rod, which could cause tearing. Leave the last 2cm of the phyllo unrolled, because this will become the bracelet’s base later on. Then placing each hand on both ends of the rolled phyllo, carefully push both ends towards the center to shirr like an accordion. 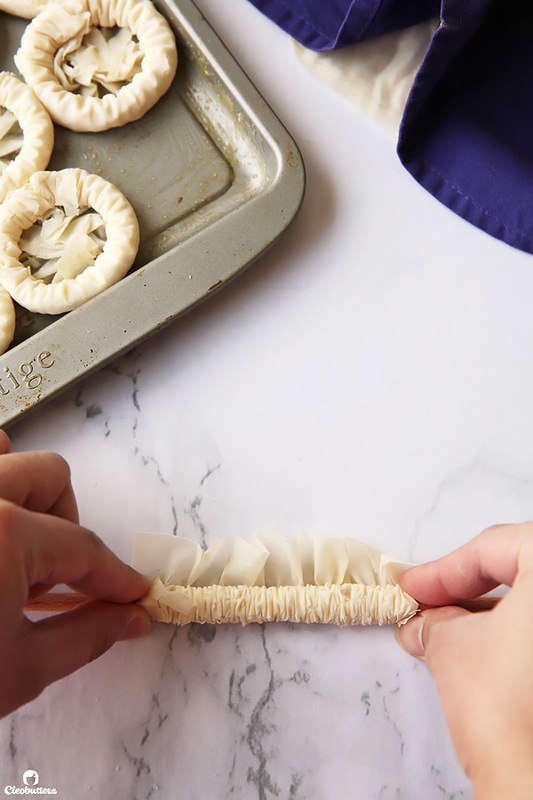 Slide the shirred phyllo out of the dowel and curve to form a circle, pressing on the ruffled end to form a flat base. Then press ends together to adhere slightly. You’ll want to arrange the bracelets so that they are touching one another. This will reduce the chance of the rings opening up during baking. Then brush with melted ghee and into the oven they go. Because a square of Cadbury Dairy Milk chocolate is about to be nestled in. Other than the fact that it is one delectable piece of chocolate, I just love how it’s just the perfect size for the bracelet’s center. It’s like they’re made for each other. You’ll then gonna let them hang out together for a while to let the warmth of the rings melt the chocolate, and make them so irresistibly shiny. 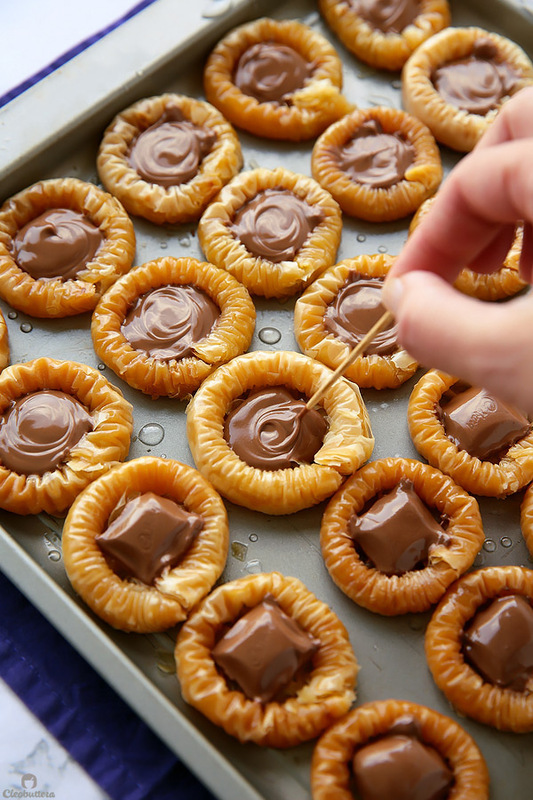 Then use a toothpick to swirl the chocolate squares to fully cover the base of the ring. 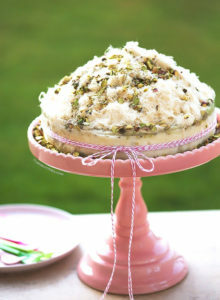 A light sprinkling of sea salt flakes, followed by pistachios and you got yourself a confection that is almost too pretty to eat. Make sure that the phyllo is fully thawed before using. Leave it in the refrigerator overnight or on the countertop for four to five hours. Do NOT microwave. Always keep the phyllo you're not working with covered with a layer of plastic wrap topped with a damp towel to prevent drying out. In a small saucepan, combine together the sugar, water and squeeze of lemon juice. Set over high heat. Try to avoid stirring it as it heats to prevent crystallization from happening. Once it comes to a boil, reduce heat to low and allow to simmer for 5 minutes or until the syrup thickens slightly. Set aside to cool completely before using. Adjust oven rack to lower middle position and preheat oven to 160C/320F. Unwrap and unfold the phyllo on a large cutting board and smooth out with hands to flatten. Using a sharp knife, cut the phyllo stack in half. then cut each half in quarters. You should now have 4 equal squares. Cover phyllo with plastic wrap, then top with a damp kitchen towel to prevent from drying out. 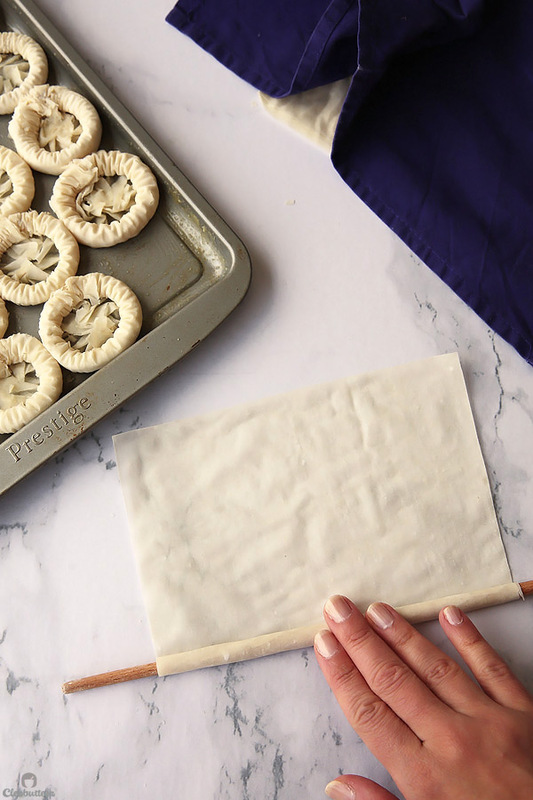 Working with one square of phyllo at a time, keeping the rest covered, place a long rod or stick like a dowel, pencil or straw at the edge nearest to you. Loosely roll the square of phyllo around the rod, leaving the last 2cm at the end unrolled. Placing each hand on both ends of the rolled phyllo, carefully push both ends towards the center to shirr. 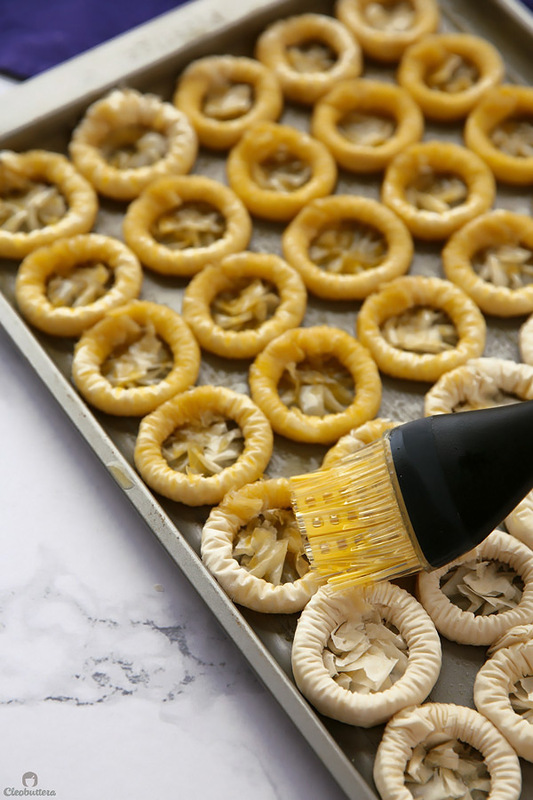 Slide the shirred phyllo out of the dowel and curve to form a circle, pressing on the ruffled end to form a flat base, making sure it has no gaps or a hole in the middle. Press ends together to adhere slightly. Repeat with remaining phyllo squares. 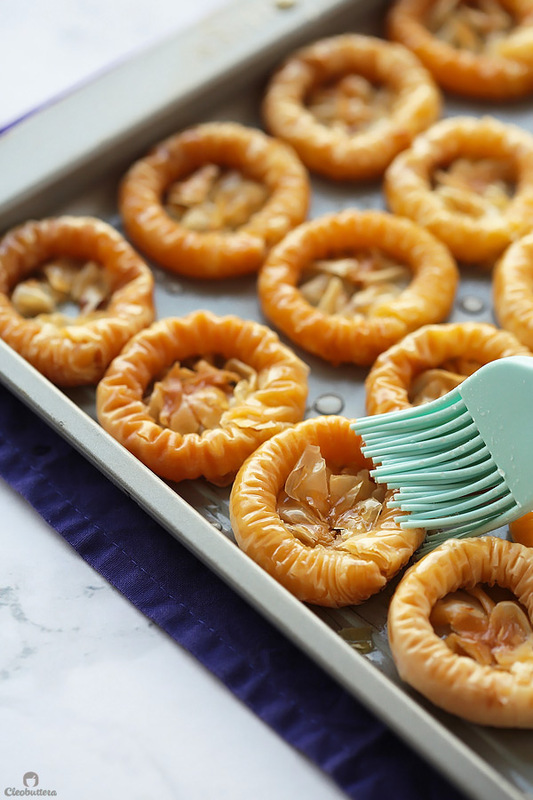 Place phyllo bracelets on a rimmed baking sheet, arranging them so that they are touching one another. This will reduce the chance of the bracelets opening up during baking. Brush bracelets with the melted ghee (or clarified butter) and bake until crisp and golden brown in color; 25 to 30 minutes. As soon as they come out of the oven, pour the cooled syrup over them. Then while still very warm, place a square of Cadbury Dairy Milk chocolate in the center of each bracelet. The heat of the bracelets should be sufficient enough to melt the chocolate, if not, then return the baking sheet to the now turned off warm oven for a minute or two until the chocolate turns shiny & becomes very soft. Using a toothpick, swirl the chocolate squares to fully cover the base of the ring. Lightly sprinkle some sea salt flakes (if using) over the chocolate, followed by pistachios. 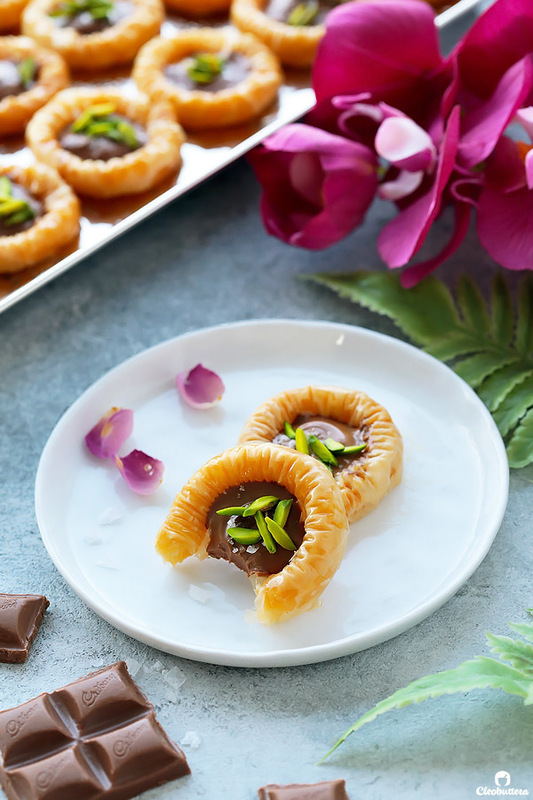 Allow the baklava bracelets to cool completely until the chocolate sets before serving. Leftovers can be stored, covered tightly with foil for about 1 week. If you have syrup hanging around from this Big Batch Sugar Syrup recipe, you may use 1/2 cup plus 2 tablespoons of it, instead of making the recipe above. To clarify butter, melt 200g butter slowly over medium low heat until the milk solids have separated from the butterfat. and collected on the bottom of the saucepan. Remove the pan from heat, let the butter settle for 10 minutes, then carefully skim the foam from the surface with a spoon. Slowly pour the clear butterfat into a bowl, leaving all the milk solids behind in the saucepan. You should end up with about 150g clarified butter. Recipe is a Cleobuttera Original. Disclaimer: This post is sponsored by Cadbury Dairy Milk Egypt, but all opinions are my own. Thank you for supporting the brands that believe in me. Tasbih! You’re killing me with all of these amazing desserts! I had to watch the video three times because I’ve never seen phyllo “scrunched” on a stick like fabric and it was so fun to see it done. I’m particularly smitten because I’ve recently tasted the best baklava I’ve ever had and now I’m obsessed and craving it daily 🙂 Your posts are just a constant reminder of my love for these kinds of treats. Keep the goodness and gorgeousness coming! Thank you Ramona for your always kind comments and encouragement. I’m so happy you’re enjoying the flood of recipes from our side of the world. As much as I love making and eating American and European treats, I don’t feel like I make the Middle Eastern ones nearly as much. I love that the month of Ramadan gives me the opportunity to make them (since they’re traditional during that time of the year) and share them with you guys. And nothing makes me happier than to know that you’re actually enjoying them and that I’m not boring you. I love this recipe and it seem so easy. 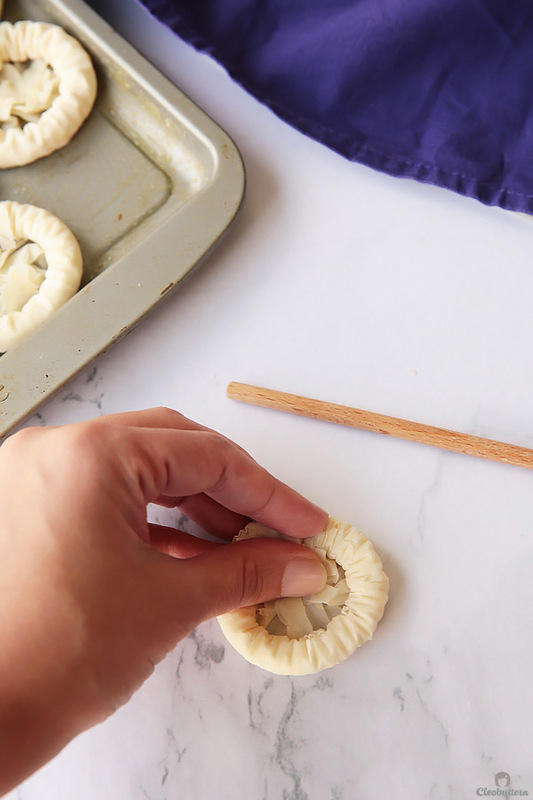 Have to make these soon, I like phyllo dough but, it is fussy to work with constantly having to keep it covered to keep it from drying out, and I am the worst when working to start going so quickly to forget to cover it back up. I must slow down some when working with it, because these sound like little cookies or pastries from heaven. Thanks for all the wonderful recipes. I’m so glad you like this recipe Debbie! I agree with you, air is phyllo’s worst enemy & can turn the process from a fun one to a nightmare 😄 I hope you give this one a try & look it as much as we do! Wowwww!!! 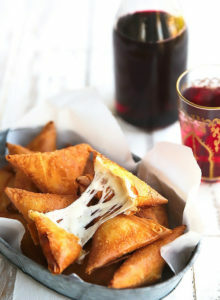 If I were to make these and serve them later after iftar, what could i add to the chocolate to stop them from setting too hard. Coconut oil? Butter? Cream? Glad you like them Amanda! 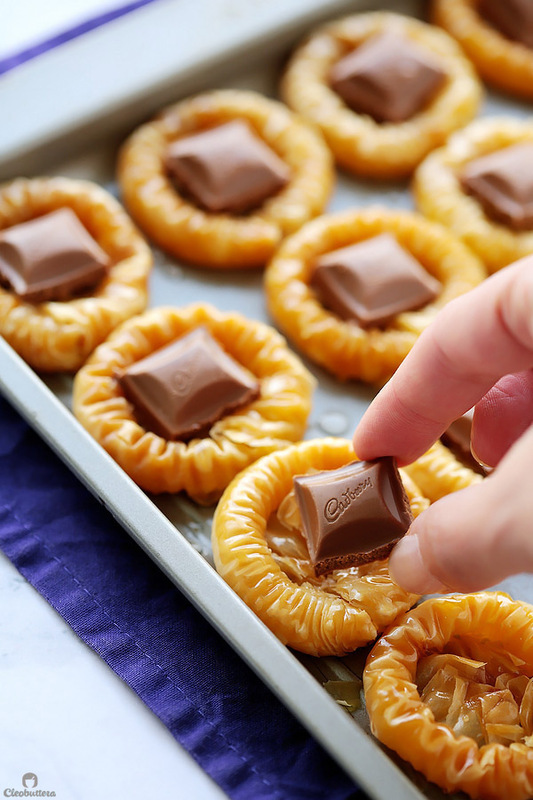 Actually since I’m using milk chocolate here, it sets up naturally soft with a light bite to it, in a way that goes perfectly with the crunch the phyllo. If you were to use semisweet or dark chocolate, then you might need to augment it with an addition to keep it from hardening up too much. When I was developing this recipe, I played around with adding cream to the milk chocolate to make a ganache-like filling, but we all ended up agreeing that straight up chocolate works better in this recipe…it was lighter in taste and the “set up” texture felt better than a looser one. However if you prefer it even softer, you can go with either coconut oil or shortening. Hi, what kind of phyllo dough u use?! Hi if i were to make this day before how i do store it so the chocolate isnt too hard. Generally, you never want to cover baklavas tightly with plastic wrap or in airtight containers, because that traps the air in which in return softens the crunch of the phyllo. Its best to cover with foil or in a regular box (not airtight). The chocolate never actually hardens; it sets on the softer side, since milk chocolate is soft. So no worries here…the texture is just perfect. Roughly how long would it stay in the oven? Oh no! I didn’t realize that I haven’t included baking time until you mentioned it. It takes about 25-30 minutes. Thanks for the heads up…will fix it. So there are several shapes and sizes of the Sonbola phyllo dough. Would you please tell us the dimensions of the final square that is to be used? Amazing blog, amazing recipe always. Hi Nouran! Thank you so much. I’m so happy you like it here. I’ve actually never seen any variation of Sonbola phyllo until today. I’m actually happy there are more size options now. The one I used for this recipe is labeled ‘Filo Pastry Leaves’ and it’s about 34X34cm in dimension, so the squares are 17X17cm. Hope that helps! Thank you thats perfect. I thought they were long rectangles as the box is shaped like samboosak boxes. But it turns out its a big square. I actually did the Chocolate Baklava Bracelets today and it was perfect!! Tasbih this looks absolutely amazing! we will have to try it.